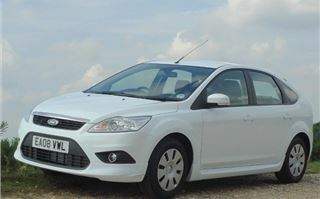 Nearly 6,000 miles, so time for a second report of my Ford Focus ECOnetic 110. 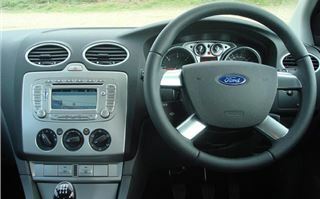 As mentioned before, extras include Quickclear screen, perimeter alarm, adaptive front lighting, interior stainless steel interior styling pack, rear park assist, rear side window sun blinds, power converter and, most useful to me, the Communications Pack of small colour screen satnav with a removable SD card memory and Bluetooth hands-free system. I hadn’t noticed until parking in a dark place, but it also has directional headlights. 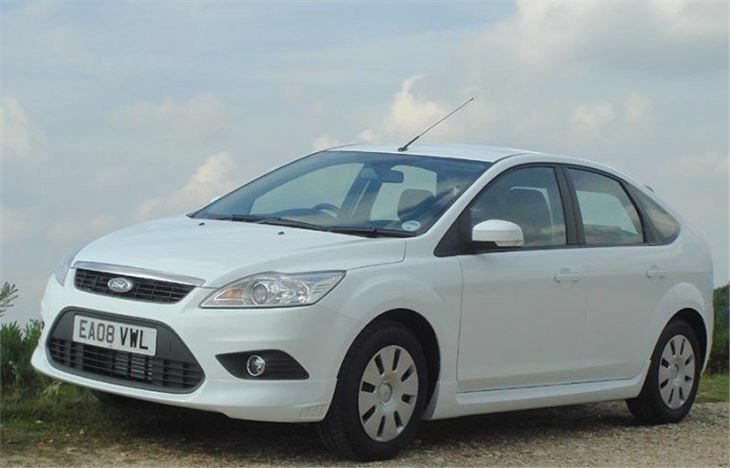 Obviously the main interest in this car is whether an average driver like me, using the car for a mix of short and long journeys, can get anywhere near the claimed fuel economy figures. One thing I have discovered is inconsistency between the fuel computer and my own brim to brims. With the onset of cold weather and an increase in short runs, economy seemed to have been dropping faster than a barometer in hurricane season. The more thermodynamically efficient an engine is, the longer it takes to reach running temperature, and at around zero outside the Focus can take 10 miles. The computer sometimes said under 50mpg. Yet the average has remained remarkably consistent, at between 56.31 and 57.55, now standing at 56.65. I kicked off on standard Total and could smell the particulate filter going through quite a lot of burn cycles. Then I switched to BP Ultimate and it seemed to run cleaner and more consistently, sometimes racking up 60mpg on the computer, but really averaging around 57. I thought I’d better give Shell V-Power diesel a shot, and coincidentally saw economy drop sharply on the computer, though that might have had something to do with the use of the car at the time. BP Ultimate seemed to bring it back again. And now I’m back on ordinary Total to see what it now does on that. The car itself has been fantastic, quietly getting on with the job, handling brilliantly and showing some useful mid range punch when necessary. It may look like the same Focus as everyone else’s and carry no status, but it’s all the car I need. Pure white might not be the best colour for it, because it shows winter dirt horribly and needs washing a lot. But it does make other drivers think a bit when I’m driving at the speed limit. Is it a cop, or isn’t it? 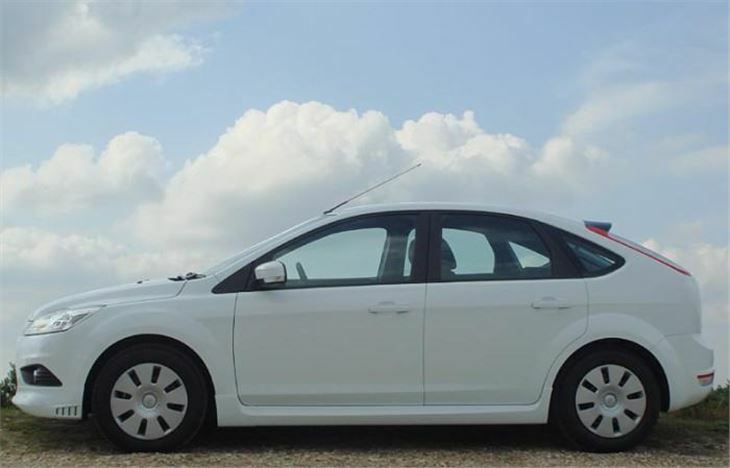 But what cop would drive an all white Focus? He’d either dress it up with Battenberg and a yellow and red striped rump. Or go for a nondescript dark blue or beige. The optional SD card small screen satnav with Bluetooth is excellent. My phone just hooks up whenever I get in and unhooks whenever I get out, and using the system has become instinctive. Not that I make many calls on the move, but it is important to be able to take them otherwise I’m plagued with persistent voicemail texts that are far more distracting. 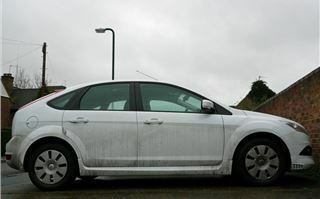 I did a 600 miler in a day, around 400 of which were in patchy, sometimes freezing fog that built up into ice on the mirror pods and the car’s systems coped very well. They emit a yellow alert when temperatures drop below 4 degrees and a red alert at below 2 degrees, so you are well aware of the chances of black ice on the roads. The foglights work fronts first on sidelights so you can use them properly to see under the fog without the reflected glare of the heads. A second pull puts the back fog on. The Michelin Energy 195/65 R15 tyres haven’t lost any pressure but can be quite noisy while they’re warming up. Same goes for the gearbox that contains a low resistance oil and whines a bit until it gets hot. The engine hasn’t used any oil. 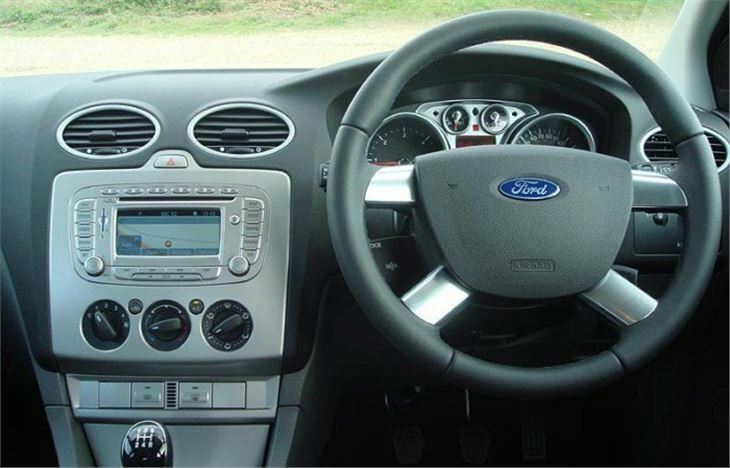 On its Sport setting the steering remains reassuringly well weighted. 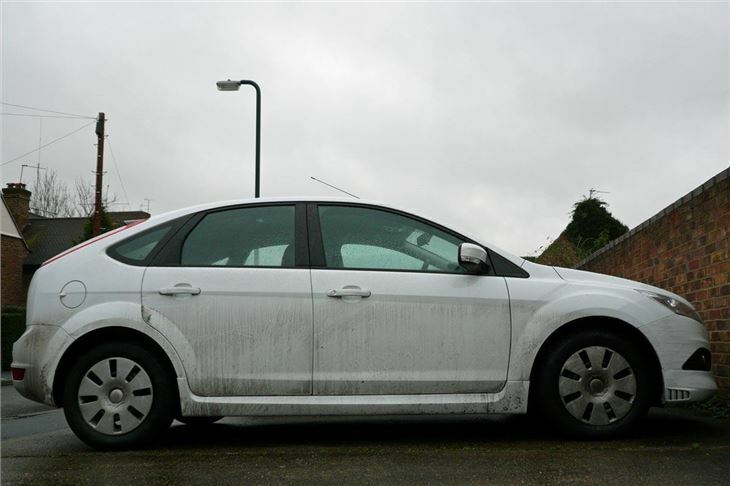 And I still rate the Focus chassis on those 195/65s very highly. But Renault has got it licked on steering feel and comfort with the new Megane. The Megane will sog out of shape earlier if you’re really pressing on. 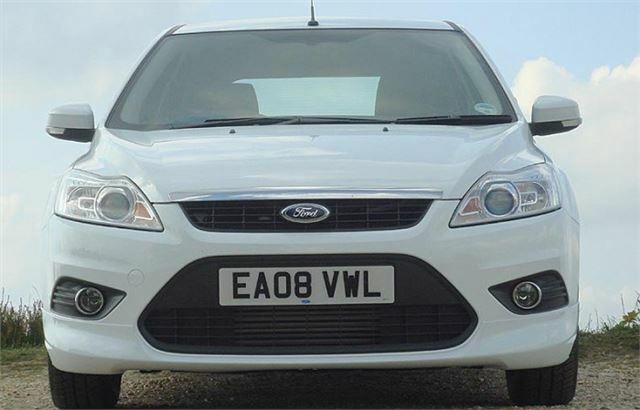 But the Ford is stiffer and therefore less cosseting. Both of them teach BMW a few lessons, though, especially in steering feel. 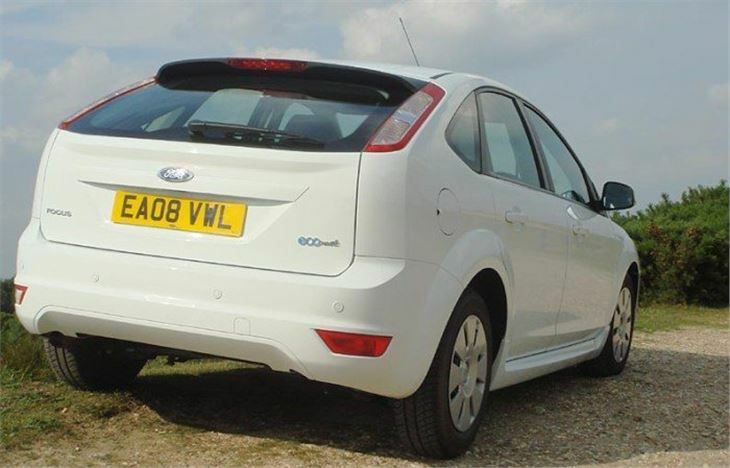 Annoyingly, our inconsistent government has messed around with VED rates again and next year cars like the Focus ECO, between 111g/km and 120g/km won’t gain the promised £5 tax advantage until 2010. But what’s £5 over a year these days? I guess between January and April I may be able to clock up another 3,000 – 4,000 miles in between everything else I’ll have to drive. So I’ll issue a final report in April. Meanwhile, despite the worldwide hike in the price of diesel, the Focus has been a good friend to my back pocket. 57mpg is a lot better than around 40, especially when you don’t have to suffer a boring car to get to it.